"Love's Gone To Hell", the new video from German metal queen Doro Pesch, can be seen below. Filmed in superior locations such as the renaissance castle Bückeburg, Doro showcases herself in the video production in some incredibly impressive scenes in a way you've never seen her before. Doro states: "'Love's Gone To Hell' is a magical song, a big anthem — and for myself it's on the same level as the all-time favorites 'All We Are', 'Love Me In Black' and 'Für Immer'." 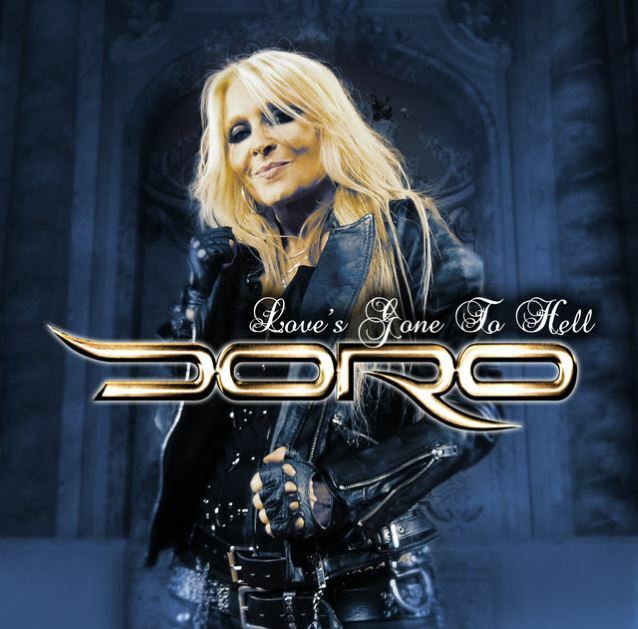 Doro will release "Love's Gone To Hell" as a single on April 1 through Nuclear Blast. With "Love's Gone To Hell", Doro has created another outstanding power ballad, which doesn't only gleam with a great piano intro, heavy guitars and a fantastic melody, but also with tons of emotion and a chorus, which captures your ears and your heart from the word "go." "Love's Gone To Hell" will be released in two formats on April 1 and can be pre-ordered now. The "Love's Gone To Hell" six-track maxi single will also contain — in addition to three versions of "Love's Gone To Hell" (radio, single and demo edit) and the duet with Lemmy — two live tracks: "Rock Till Death", featuring Hansi Kürsch (BLIND GUARDIAN) and "Save My Soul". Both live tracks deliver a great insight into the long-anticipated DVD called "30 Years Doro - Strong & Proud", which will be released in June via Nuclear Blast. It features the Doro anniversary shows in Wacken and Düsseldorf, including spectacular tracking shots as well as sonic perfection. Additionaly, the DVD contains tons of terrific and previously unreleased bonus material. Doro is looking forward to her upcoming "Rock Meets Classic" tour, on which 'Love's Gone To Hell' will be premiered live. Doro will hit the stage across 16 German cities and Switzerland as a special guest. In late autumn, the "Love's Gone To Hell" tour will follow, when Doro will rock fans in Germany and half of Europe with her band.